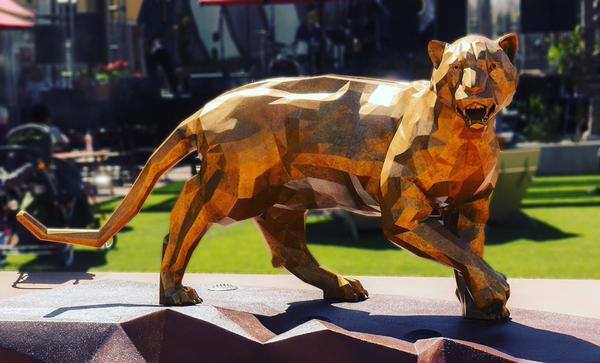 Are you wondering if Precision Board HDU can be hand-carved? Absolutely! 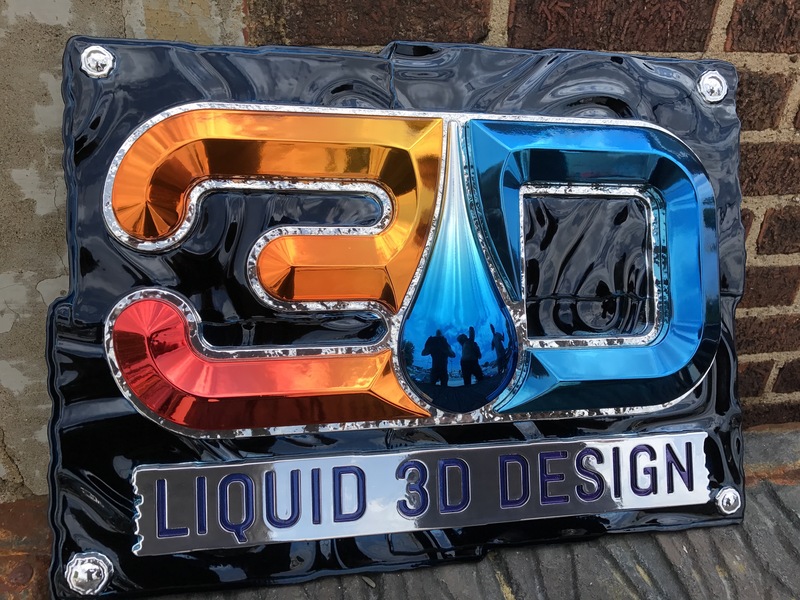 We talked to Jim McKay who recently created a dimensional sign out of Precision Board PBLT-18 using only hand-carving tools and a dremel. 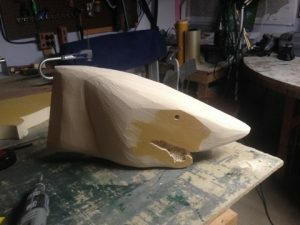 Read on to see how he created the detail and depth on this 3D Mako Fin shark sign and get some tips on hand carving HDU. Jim was asked to make a sign for the private shore house of a client who loved fishing. McKay decided to get creative with PBLT-18 that he had in stock. 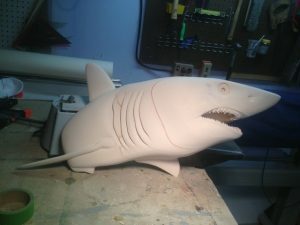 He did research on sharks and after finding the image he wanted, created a 3D outline in Adobe Illustrator, using it for reference as he hand-carved the HDU. 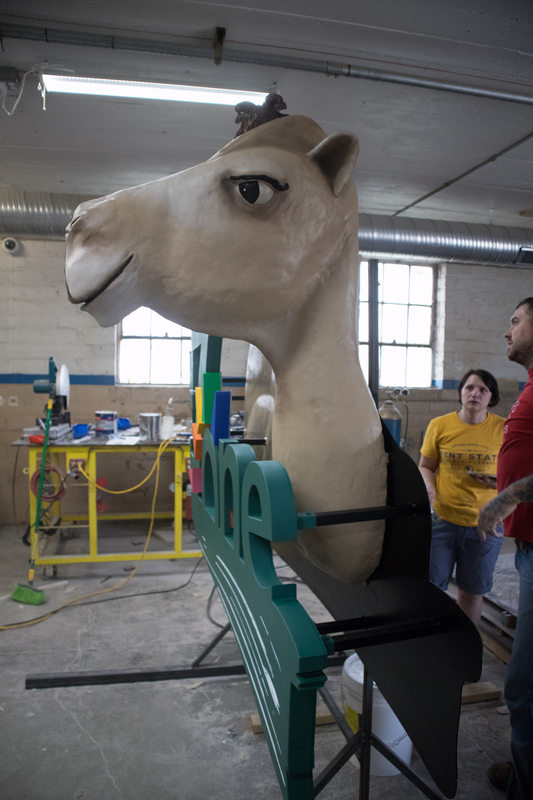 In order to create a sign that was 6″ thick, Jim stacked 3 pieces of 2″ foam together, drilled holes, inserted a wooden dowel and used PB Fast Set to hold the pieces in place. 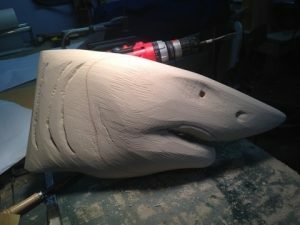 McKay then used a high speed dremel for the detail work on the eye and teeth, using a variety of bits to achieve the dimensional look of the shark. 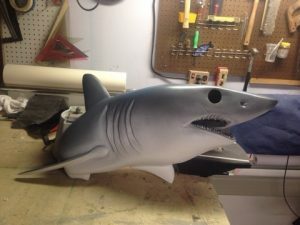 Once he was done carving, Jim put a base coat of primer/sealer on it and colored the shark with spray cans of grey and blue, silvery color paint. 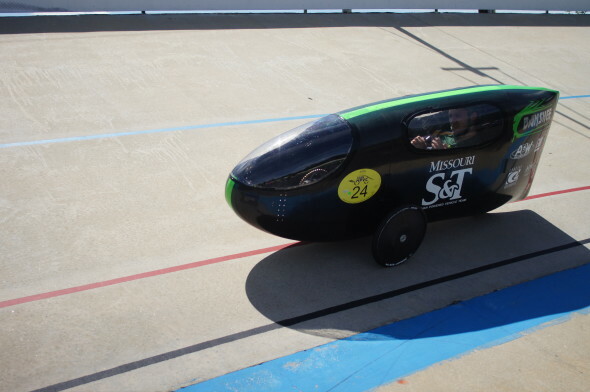 The eye itself was a piece of black stained glass to give an effect of a shiny pitch black pupil. 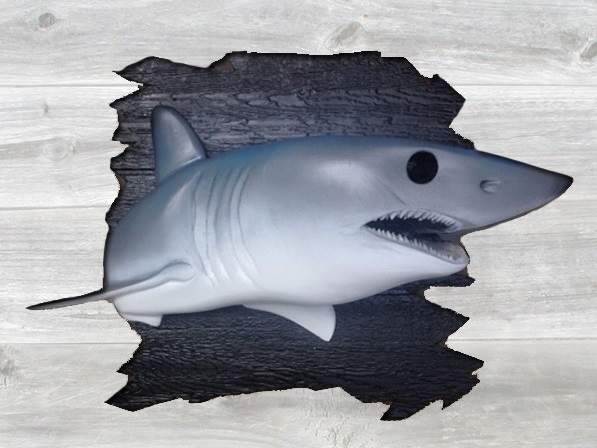 To give the illusion of the shark bursting out of the wall, he mounted it to a piece of exterior plywood and cut the edges to make it look like it was broken wood. He then put the finishing touches on the sign by hand painting his customer’s name on it. For those thinking about trying their hand at carving Precision Board HDU, Jim has some advice. 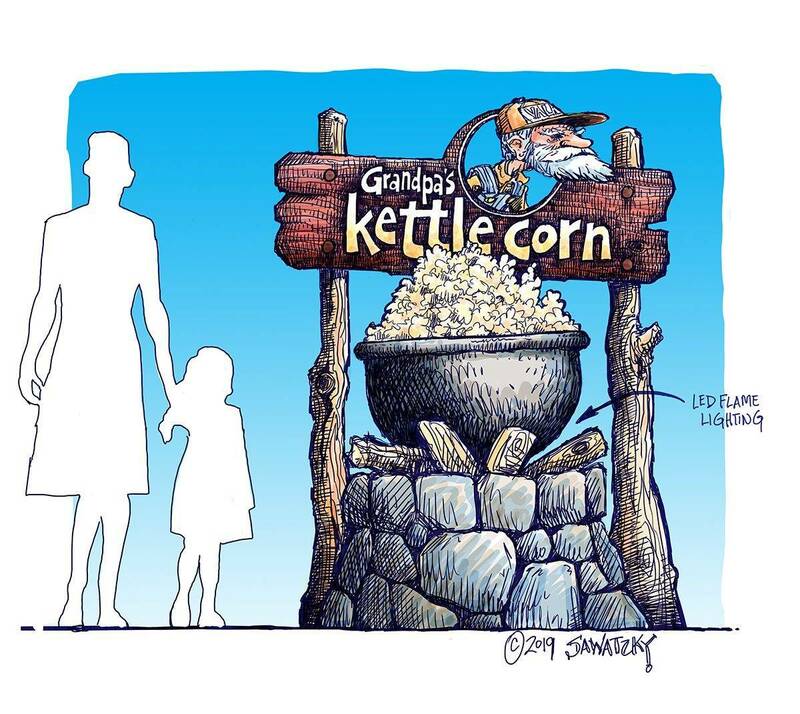 Jim McKay is a trained illustrator who does a variety of work, including carved signs, painting and logo design. You can check out the Artwork by JTM website or contact him here to inquire about getting your own hand carved sign. 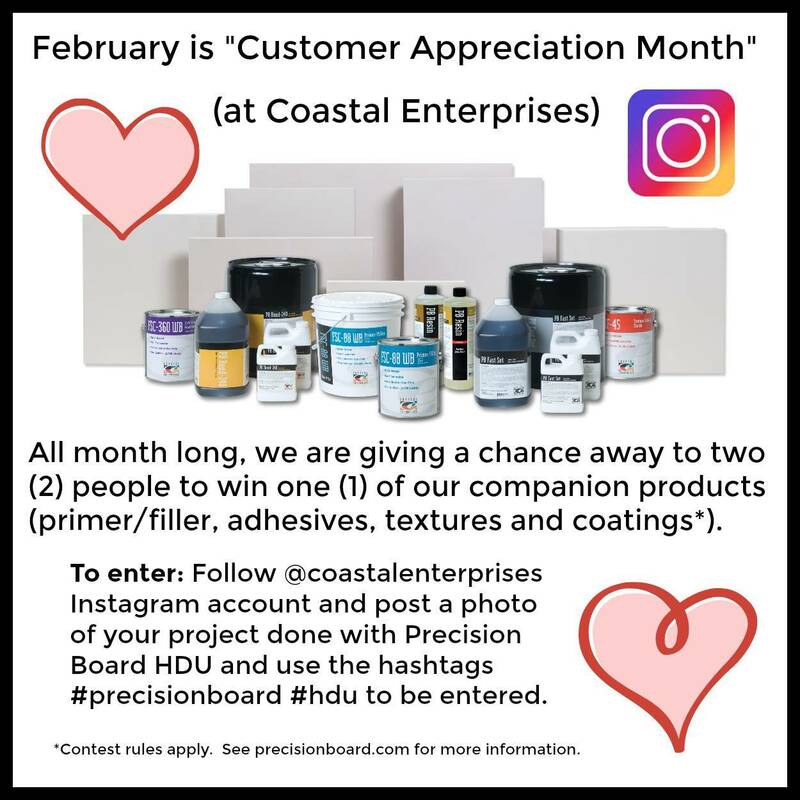 You can request samples of Precision Board to try for yourself and read more tips on working with HDU here.